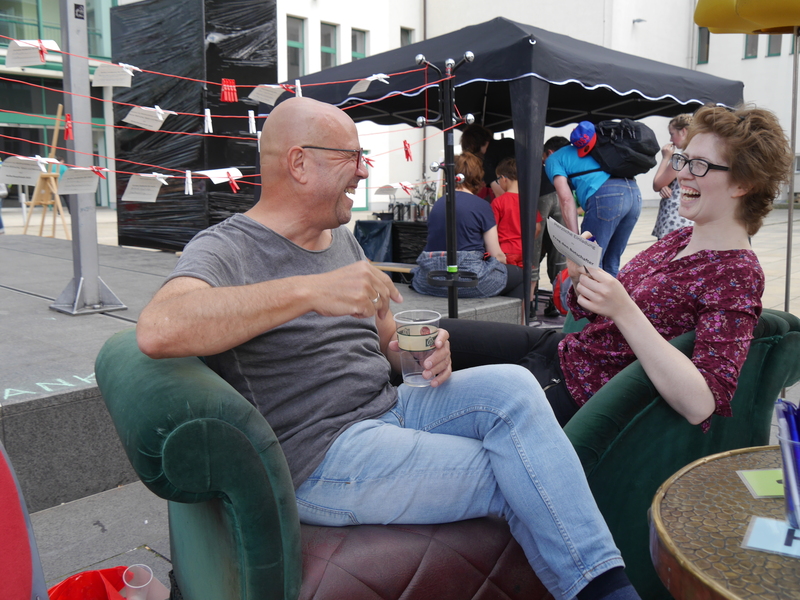 The first date of the Living Room Tour was on Saturday, 10 June, during the family festival “Familie Tietz lädt ein” (Family Tietz welcomes you) on the forecourt of the cultural department store TIETZ. Residents were invited to meet with Stefan Tschök, CVAG cultural ambassador and press spokesman for CVAG, to discuss the idea of the bid by Chemnitz as European Cultural Capital in 2025. 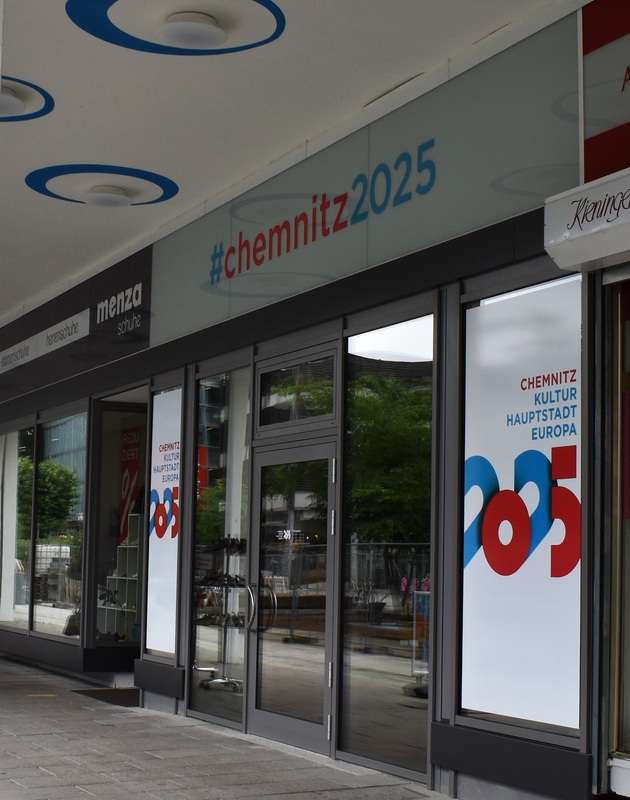 “Chemnitz 2025 – what does that mean? What’s it all about?” These were the questions that many citizens asked when they read the chalk logo, inquisitively taking a seat in the living room. Cultural ambassador Stefan Tschök used the cosy atmosphere to explain the background, and the residents of Chemnitz were given the opportunity to communicate their wishes, suggestions and opinions. 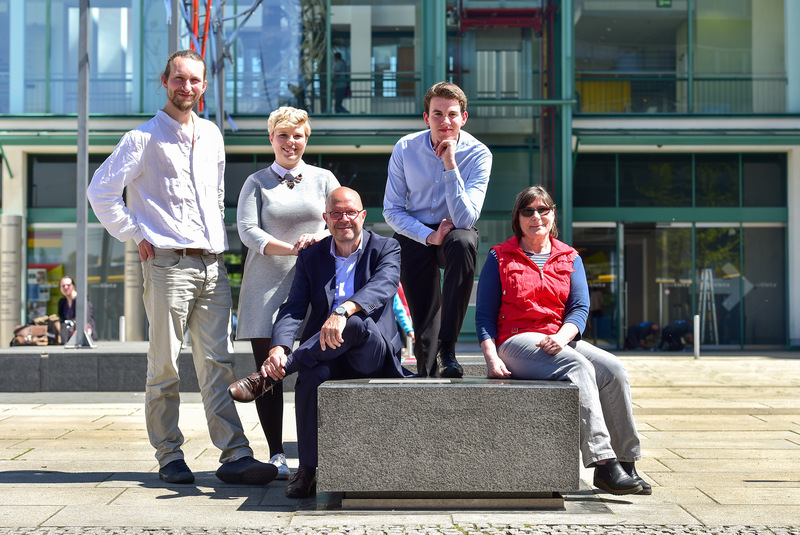 “Chemnitz has transformed completely over the last ten years, and I find it very refreshing. The youngsters have created a new culture with a more laid-back feel. For me it’s wonderful that people gather on the lawns by the Castle Pond or in Küchwald. I would welcome it if the streets of Chemnitz were a little livelier, so I find the idea good,” said one of the residents, explaining her views. 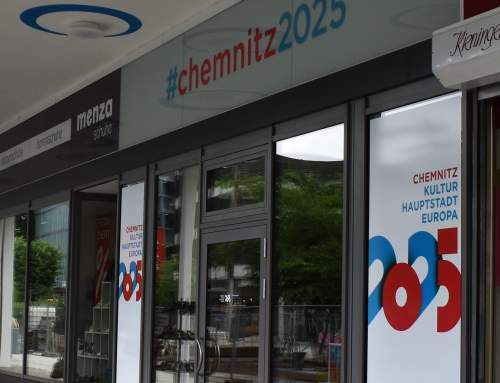 “It’s important that people from elsewhere view Chemnitz in a positive light and that students in the city become even more visible”, said an interested citizen. “It would also be great if the public spaces could be used for more cultural activities, for instance if there were dances on Theaterplatz”, was another of the ideas that emerged from the talks. Besides the numerous discussions on the sofa provided by the theatre in Chemnitz for the Living Room Tour, the people attending the event also had the opportunity to write down their personal understanding of issues such as “Europe – Culture – City” and to attach them to the “Thoughts Window”– a washing line strung up in the living room. The individual interpretations were then collected and compiled for the next Living Room dates. 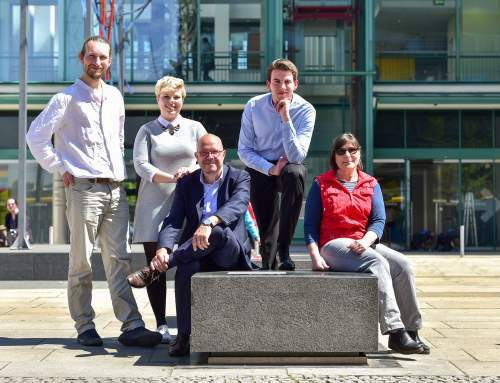 Civic participation is an important element in the bid as European Cultural Capital. “We want to continue communicating with the citizens of Chemnitz, as their thoughts and wishes provide important impetus on our way to becoming European Cultural Capital”, says Ferenc Csák, head of the City Culture Department and in charge of the bidding process, to describe the idea for the Living Room Tour.